While reviewing the developer communities around PHP in the Bucharest area, I noticed that there are a couple of active meetups on specific PHP topics (like Symphony or Drupal), which are great, but not one that covers a larger spectrum of PHP topics. After all, being a PHP developer means knowing a lot more than just knowing PHP or a specific PHP framework. Another observation is that, while those groups catered very well for senior developers, there wasn’t much content for the others. Build a community related to all things PHP. Content for all seniority levels. Thus we plan to target Junior, Middle and Senior PHP developers but also QA Engineers, Product Owners and tech leads. Strictly related to PHP: code quality, best practices, frameworks etc. Systems that you might use as a PHP Developer: data storage (MySQL, MongoDB, ElasticSearch etc. ), caching systems (Memcached, Varnish etc. ), parallel processing (RabbitMq, Gearman etc. ), monitoring and performance. Processes used in development: automated testing, deployment, tools. 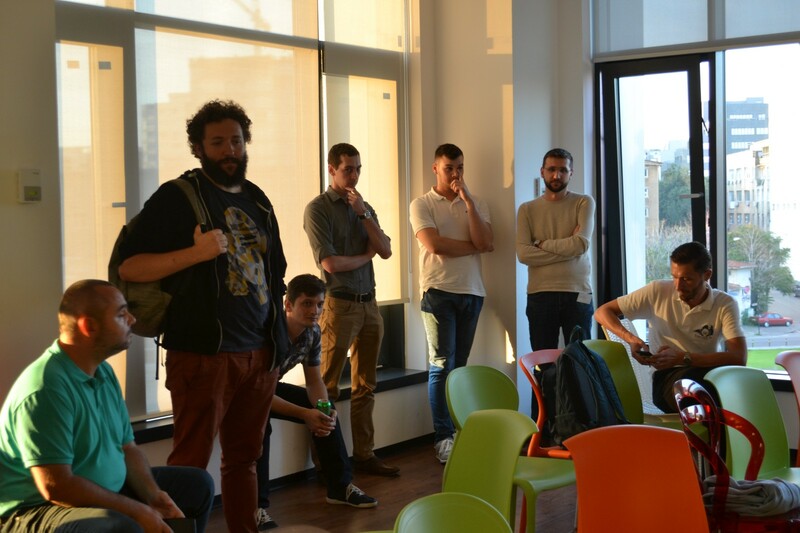 We held the first meetup on the 5th of July at Impact Hub in Bucharest. The topic that I talked about was modern PHP Web Applications. I approached the subject by imagining that I was a developer that has recently been hired at a tech-company that uses PHP as the main language for its product. From this perspective, I talked about what would my expectations be regarding the app and the team. The subject was approached broadly as a compendium of tools and practices that will be discussed more detailed in future meet-ups. Following the presentation we all introduced ourselves and spoke a little about what we do with PHP. In the second part of the meetup, the audience proposed 4 topics which we covered, after splitting in four groups. The topics were deployment, best practices, performance and tools. After 15 minutes of discussions, each group summarized in front of everyone what they have talked about and we all shared impressions. We then enjoyed some pizza and beers provided by eMAG and continued to talk about what we are working on using PHP, issues we are dealing with and we also came up with some useful ideas for future meetups. The mood of the event was very upbeat with all participants contributing and all of them saying they can’t wait for the next one. We considered the event a success and we will continue doing this kind of meet-ups once a month, hopefully, in time, gathering around a big PHP community.